Today, her computer's screensaver is just the text "SO...ARE WE ALONE?" This question keeps her up at night. In some ways, this is the question that keep us all up at night. We have all spent dark hours wondering about our place in it all, pondering our "aloneness," both terrestrial and cosmic. Tarter's life and her work are not just a quest to understand life in the universe: they are a quest to understand our lives within the universe. No one has told that story, her story, until now. It all began with gazing into the night sky. All those stars were just distant suns--were any of them someone else's sun? 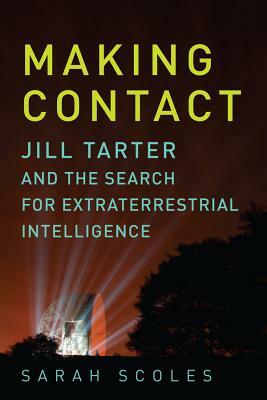 Diving into the science, philosophy, and politics of SETI--searching for extraterrestrial intelligence--Sarah Scoles reveals the fascinating figure at the center of the final frontier of scientific investigation. This is the perfect book for anyone who has ever looked up at the night sky and wondered if we are alone in the universe.